Our Company was incorporated in 1977 and was acquired in 2004 by our Promoters, including S. Balwant Singh, our Managing Director, who is a first-generation entrepreneur with approximately nine years of experience in the compounded cattle feed industry. 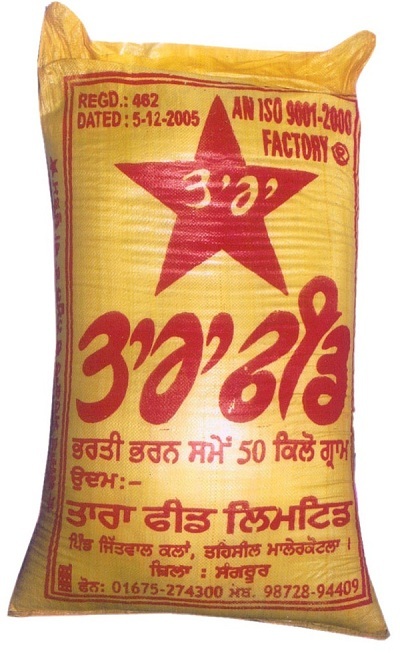 We are amongst few organized players of the oil and cattle feed industry in India, catering to the needs of both human and animal nutrition through our products with a present capacity of 120 TPD refining capacity, 250 TPD of solvent extraction and 250 TPD of cattle feed manufacturing each at Punjab Unit, Jammu unit, Sitarganj unit and Hanumangarh unit. Village Jitwal Kalan, Tehsil Malerkotla, District Sangrur, Punjab 148023. A dream to capitalize the opportunity presented in the rural heartland of India, aptly termed as the "Granary of India". Serving the growing needs of farmers of the 'cow-belt of India in a unique way by providing excellent quality animal nutrition to the most productive livestock', being fed into by conventional methods and by a largely unorganized sector. Mr. Balwant Singh Managing Director THE FUTURE BELONGS TO THOSE WHO COMMIT TO QUALITY AND TRUST! What we are today comes from our thoughts of yesterday. From our first cattle feed plant a decade ago in a small village in Sangrur District, Punjab to today's Tara Health Foods Limited with crores of revenue, producing tons of cattle feed and edible oil per day, we have come a long way with a longer path still ahead of us. For Healthier Tomorrow. We can all make small changes in our daily lives that will. have outstanding results in the long run. Ut wisi enim ad minim veniam For Healthier Tomorrow. We can all make small changes in our daily lives that will. have outstanding results in the long run. Ut wisi enim ad minim veniam For Healthier Tomorrow. We can all make small changes in our daily lives that will. have outstanding results in the long run. Ut wisi enim ad minim veniam.